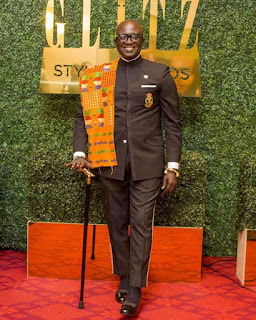 Award-winning broadcaster and great fashion icon, Kwasi Kyei Darkwah (KKD) has lashed out at people who continually decide to troll others, especially celebrities on social media. Speaking to JoyNews’ Maxwell Amoofia, KKD stated that those who take delight in mocking public figures on social media are poor and filled with envy. “It is poverty and envy that can make people very mean. You don’t see people who are doing very well in life being totally nasty to people…You must be a certain special kind of animal to decide I want to do something to destroy another person…” he said. Kwasi Kyei Darkwa further stated he pity people who are usually engaged in social media trolls stating that he believes they can be people who suffer from depression and as such they use this to ease themselves. “I pity people who are attacking others. I am not angry with them…The haters don’t hate you…they hate their lives. If their lives would improve, they will be nice too,” he stated. KKD in ending his submission advised public figures, and in particular entertainment celebrities to usually inbox individuals who criticize them unfairly and show them love.